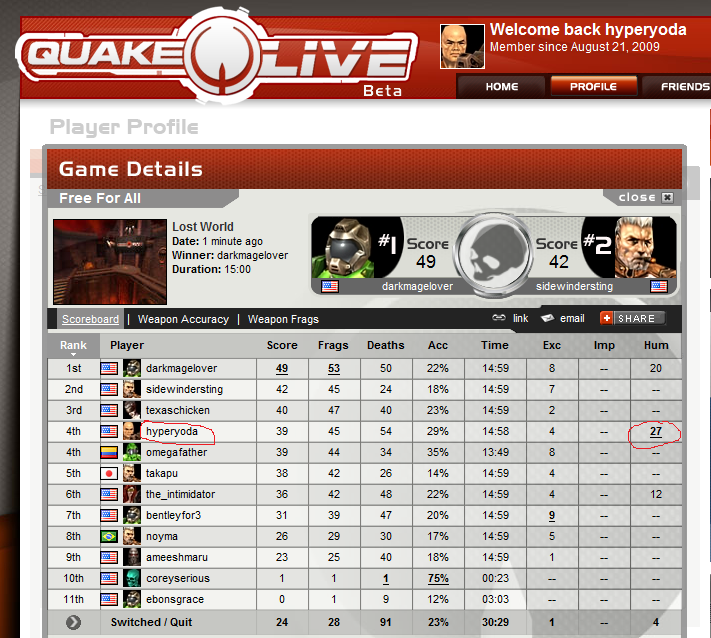 I just bested my previous all time best gauntlet performance of a few hours ago of 17 with an epic 27 gauntlet kills! That is 27 of 45 frags so I played an entire full match and had 60% of my kills from gauntlet!! WOOOOOOOOOOO! I dare my fellow Quake Live players to best this feat (wink: Bany! hehe) ^_^ I also received 4 Excellent medals.